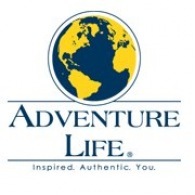 All Adventure Life tours, river cruises, expedition cruises, and adventure trips. Find the best guided trips and expert planned vacation and holiday packages. Average rating of 4.9 for all Adventure Life trips. Visit the Belize Zoo, where in typical Belizean fashion animals roam 29 acres in large natural enclosures. Jungle lodge is tucked next to the Tapir Mountain Nature Reserve and Roaring River. Explore the many trails and river that flow through the Pooks Hill property. The Macal River for your first introduction to Belizean wildlife. Tikal's towering pyramids rise above the thick jungle canopy like stoic sentinels of ancient mysteries.